Nederland, TX Retirement Income Planning. Our team works diligently to always put the client first by having an attitude of servanthood and operating with full integrity, honesty and transparency. 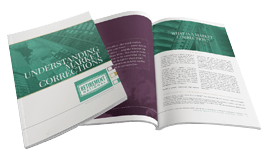 Download our Understanding Market Corrections Booklet! 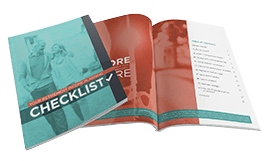 Download our Retirement Income Checklist! Retirement National works with friends and neighbors throughout Texas to help them work toward their financial goals through the use of insurance and investment products. We are rooted in the community and have developed our business by creating close, personal relationships with our clients. When you have financial concerns, we want to help you address them. We treat our clients like we do our loved ones; with care and respect. We enter into long-lasting relationships with our clients where we are committed to helping them design, develop, understand and execute a retirement plan that meet their needs. There are no two clients with identical situations, so each plan is customized to meet the needs of the individual client. You don’t have to be a millionaire to retire. Your financial goals, age, life expectancy and personal interests are the factors that should drive your investment and retirement plan decisions. We understand retirement planning and the concerns surrounding it. What is your definition of financial security? How much will you need to maintain your lifestyle without outliving your money? Will you need to provide for the financial or educational needs of a dependent? Will you have enough to cover unforeseen events or expenses? Factoring in retirement income, health-care expenses, Social Security and estate planning, our plan will be structured specifically for your unique income needs, personal comfort level (also known as risk tolerance) and long-term financial goals. At Retirement National, helping you meet your financial needs is our first priority. It’s our responsibility to evaluate and assess your financial situation and only make recommendations that are in your best interest, and we do so with integrity and transparency. Our experienced professionals are not just knowledgeable about finances; we also understand the importance of priorities, family and confidence in your financial future. To schedule a time to discuss your financial future and the possible role of investments and insurance in your financial strategy, contact us at info@retirementnational.com or call us at 409.724.1173 today! Investment advisory services offered only by duly registered individuals through AE Wealth Management, LLC (AEWM). AEWM and Retirement National are not affiliated companies.